Really Simple Syndication. If you read websites and blogs, you need to be using a RSS reader like Google Reader or the “Reeder” App for your Mac, iPhone, iPad and iPod Touch (it syncs for pretty good off-line reading too!). WordPress.tv was announced. Lots of instructional video on how to do stuff with WordPress! And there is a feed for the blog and a separate video RSS feed. All appear to be available in HD. Very nice. It also includes videos from various WordCamps. I Revise My Blog Posts (sometimes). So I’m always editing my posts. Generally, just in the first hour (or two) but occasionally (rarely) up to a day later. I’ll see little things I want to change/correct or I’ll notice typing errors. Sometimes I’ll remember something I left out and I’ll add it. I’m trying to make the blog post better, more readable and more complete. I don’t change the slant or idea of something I had but I’ll firm up the idea sometimes. Sometimes I wonder how that info gets around the ‘net though. I know some people will read me via RSS or Atom or something, but once their software grabs my feed, if I change the article do they get the latest version if I don’t revise the date (and if I do revise the date do they have two copies?)? 2 – took out a short paragraph about my RSS feeds, I forgot they were dynamic now; that’s a bigger change than normal (see I was still thinking about it while cooking so I checked and corrected it). 3 – Minor structure and a spelling error. My AppleTV is awesome! An “iPod for your TV” is a accurate description. I ran the software update (painless!) and it gave me YouTube videos and fixed “enhanced podcasts”. It mirrors one of your computer’s iTunes just like an iPod does (and allows you exceptions) and will stream from any other computers running iTunes (platform independent) and I don’t think there is a limit. I can’t believe how fast it pulls hi-res movie previews from Apple down to the unit, it’s very very fast. It’s actually much faster than pulling down YouTube videos (many which are low-res). It really streams full-scren video from other computers really efficiently. Very rarely does it need a moment to catch up. It has no problem with steaming audio. It almost makes no sense to download podcasts, I bet you could stream them live if you had a way to just get the RSS feeds onto the AppleTV. With “enhanced podcasts” it now properly advances the embedded images to follow along with the audio. The problem is that it just shows them to the side like the album artwork, some images are much larger so it really cheats you by scaling them down. Since you don’t use the up/down keys on the remote during this process “up” would be a great way to enlarge the images. I have the same image size concern when viewing slideshows with the “Ken Burns effect”, sometimes I want to view the whole image. Once again this would be another great use for the up button. The down button could be used for viewing filenames, date, time and other info about the images. Actually, this would be a good use for the down button while viewing videos or audio. A few more features (like on the TiVo) like weather, movie listings and maybe Flickr photo viewing and it’d be even better…What I don’t like is that it only lets you sync with one computer. I’d like to sync music with one, videos with another and podcasts with another (not so sure if I care about the latter). 1) A way to automatically convert videos and stick them into iTunes for me (so when I drop/download a file to a folder, it starts processing for me). I could probably do this via Mac or Windows…. 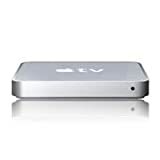 2) A way to play other file formats on the AppleTV, such as AVI and DiVX files. I think I can hack it to do that but I’m not sure if I want to take it apart yet. If I’m looking at an event it should tell me if I’ve added it to my calendar already when I’m looking at it. It should not make me click it and then add it twice. It should know this already. I need a way to get the calendar out of MySpace. I’ve already got a calendar on my computer, it’s on my phone, it’s every where I go (and it’s all the same calendar). I need a way to get those events from MySpace to my other synchronized calendars. There are standardized protocols for this, if they really want me to see these performers (they really don’t care, IMHO) they need to make sure I know about them. If I add a calendar item from someone’s page it should remember when I got the event from with a link back to the original page. If someone is my friend already say that on the page don’t say “I’m in their extended network”, it says that for everyone. You go to add a band (or someone) and you can’t remember if they’re in your list already and it’s got to go to another page. It should know this already. Artists can set their page to let you download some of their songs (or none) but the filenames are awful (like 89SAD09G89SD0FSDF089SDFS8D00S.mp3) and the songs have none of the tags so you can see who it is when you play it later (on the computer or your mp3 player). Once again, they aren’t helping the artists, it’s whatever they can do to get you to come back to the site for unnecessary things. If you’re hooked your coming back, just let me download something useful. MySpace will send me e-mail reminders and alerts but you can’t choose which ones and it’s hard to get them past your spam filter since they change their e-mail address with every message. If you use some form of disposable address now your friends can’t search for you since they don’t know that address (I only send friends to MySpace to find the links to my bands, I have no real content there). If I go to someone’s page for the first time, I’ll click play if I want to hear their favorite song, don’t start streaming me music I don’t want to hear. I almost want to say the same about a musician’s page too but I can understand that they want it to play (how about a 10 second delay so the page will stop loading first?). If someone has no pics (or videos) it shouldn’t give me an option to view them. There aren’t any there!! There should be a limit of 15 slideshows or 1500 photos per page. That’s sarcasm, have you seen how many photos and slideshows people put on their page? It takes 5 minutes to download them all on a high speed connection! Why can’t I rotate my favorite song? Or my Avatar? Oops, wait those aren’t aesthetic complaints, they’re user wishes. I’ve been spending too much time in theirSpace…. 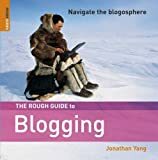 So I picked up The Rough Guide to Blogging by Jonathan Yang at borders this weekend. This is from the folks who do the “The Rough Guide to _____” different places to travel. It seemed to be a decent book, pretty cheap $10-ish. It had the basic ides, rss, hosting, audio, video, podcasting, increasing traffic and making money and (very) short reviews of 250 of the “best” blogs. It’s a nice intro if you have someone who’s been asking about it or if you’re a beginner and want to learn some more. It’s about 100 pages and then about 50 pages of types of blogs (politics, education, etc.) while mentioned some specific blogs and then a bunch of 1 line reviews. I haven’t read it yet, but all the pages I’ve flipped to look pretty good so far. I’ve been meaning to buy it and I finally did this week, why you ask? Because they’re having the “Happy Birthday Apple Sale!” and only charging 30% of the price (30 years of Apple) so it’s only $10.50! So I’ve got this podcast with the enhanced images working! this is the “better” enhanced AAC podcast (for iTunes, iPods and Quicktime). this is the mp3 podcast (for everything else). The enhanced file is a AAC/MP4 (m4a) file so you probably need an iPod or iTunes (or Quicktime) to see the images. The MP3 will just be on it’s own for any software/hardware player. I now have both a Enhanced RSS Feed and a MP3 RSS Feed set up. Here is an audio file of me talking on the way home from the Aimee Mann concert (it’s got a slight disclaimer on the quality at the start). It’s not polished nor is it what I plan to have as a podcast once I get there. It’s me talking over Aimee playing on the car stereo, I’m recoding it on my digital camera. Let me start with me saying, “If I had to put two names to the success of Podcasting it’d have to be Dave Winer and Adam Curry.” But this story is a little more about Adam. This is not really a “history” it’s an offshoot of my previous post on memory but it got too long to stick in as part of that post (it started as a just few sentences). To me, Adam has been one of the biggest proponents of podcasting and moving items onto iPod-like players. He’s not the creator of podcasting or even the word “podcasting”, he’s not the creator of attaching files to RSS feeds (though I think he suggested it to Dave Winer who did do it), he’s said he couldn’t even get people to do some of the work he needed to make this work, I’ve heard him say “I couldn’t get people to ‘do my homework’ for me”. He makes it sound as if the original program for receiving podcasts was parts that he found and cobbled together and had to learn applescript to do it (I may not be giving AC enough credit here). Adam Green editing parts of Adam Curry and Dave Winer podcasts into a 35 minute history (I haven’t listened to it yet, I found it after I posted this and just added it). A podcast that he and Dave Winer did (Trade Secrets, I think?) often gets credit as the first podcast and he denies it (although says they did earlier shows). So it seems to me it’s not like he’s just trying to get credit (he’s getting it for that item, but still denying it), it really seems as if he’s just trying to get some of it straight. During some of this the rival to RSS, RDF, already supported audio attachments but no one really utilized it. He’s certainly one of the biggest proponents of podcasting out there and he’s always said he wants to somehow figure out how to make money off it. He’s not going to make money off of the actual concept, that’s done and gone and that’s where the history so it really doesn’t matter that much from a monetary standpoint. It seems like it’s just a history thing. Apple’s stuck it in iTunes and there are a million other pieces of software out there. His money is probably going to be from selling tools, space, advertisements and maybe his own shows (I’m guessing). I don’t know if you can really make money off the talk show network? and interviews? Oh and he does a great show and is very entertaining! This is probably key in the whole process. It’s possible I’m getting some of this wrong (especially the RDF part, I’ve only seen that written once and maybe heard it once). But AC comes off as pretty charismatic and people who generally disagree with him seem to come off more like grunters/complainers (at least the stuff I read) and that’s always going to make things fall in his favor. Without Adam podcasting would have happened (no doubt in my mind), but he had a big part in it and people like him since he’s the old Mtv face. I’m not aware of any of the other “big names” out there trying to make money on the scale that he is and a lot of the “big names” out there have jumped on board of what he’s trying to do. In an alternate universe where Adam had nothing to do with podcasting I think he’d still have jumped on the bandwagon and be doing stuff awfully similar to what he’s doing now; he’s got the connections, history, money(?) and motivation to do this kind of project. As I said, if I had to put two names to the success of Podcasting it’d have to be Dave Winer and Adam Curry. I’m not saying others weren’t there but those two seem to be the big push no matter where you look. All this “stuff” just builds on previous technology. Web browsers were after Gopher browsers (I don’t think University of Minnesota ever gets credit for that) which was after WAIS, FTP and any other processes that it used and tapped into. All most of it was doing was putting a nice front end on “stuff” that was already out there. It’s possible that Gopher was concurrent with the original web stuff, but the web certainly wasn’t more popular until images was added and NCSA Mosaic was out (although no one remembers Mosaic, they remember Netscape). Another way to look at market and getting credit: Apple didn’t create music files or create music players. They just took a idea and built on it on it and ended up with a huge percentage of the market of the MP3 players and a great on-line store. Now iPod is synonymous with music player. I’m sure some more read from some of my RSS/ATOM feeds and the PDA version (I only have tracking on pages with the images on that load the blogflux logo at the bottom of the page) and there are probably a few false positives but I’m sure the numbers are higher. Heck if they don’t load the graphics or hit stop before the bottom loads or if it’s somehow cached somewhere it won’t count it. I’d blog even if I didn’t know how many people came by but it’s sure nice to know. So I’ve got a new very easy place to recommend to blog, it’s called Easy2Blog. It’s got loads of options and it’s easy to configure. They’ll do ad exchanges for you, an about me section, a blogroll-type thing, counter, rss, sydication badges that automatically add your blog to others myYahoo/feedburner/etc., commenting, easy to add photos to posts, search, counters and an easy way to add blocks of html for other services like blogrolling or whatever you’d like (you can easily reorder them too). Downsides: It doesn’t let me post with Safari (Mac Firefox & Mac IE is okay). It lists your e-mail address on the site (this doesn’t appear to be an option) so get a spare if you don’t want it listed (I’ve still got free gMail to give out). It’s got ads (but that’s how they pay for it) and you can deny explicit content (or request it) for the ads. It doesn’t appear you can use a client for editing. FYI – My new blog is not an Easy2Blog. I’m still faithful to MovableType. Meme Propagation In Blogspace: Add Your Blog! results and commentary will appear there in the future. Need a spot for your blog? Try IlohaBlog! Found new blogging service that I like. It’s called IlohaBlog and it’s at http://ilohablog.com/ (no longer in service). It’s got comments, links and trackbacks, categories*, archives, RSS, links (with different categories), extended entries and support the MT posting API (so if you use a client like Ecto, it works). Includes a “recently updated blogs” list on the front page. Oh and did I say it’s free! Why was I looking for this? Because I was poking around looking at Expression Engine (because I like the way they do categories) and wanted to see if Ecto supported posting to it and found a list of items it did support and started geeking around with it. Back to IlohaBlog — It’s easy to use, free, and it seemed nice enough for me to post about it. I think it might get my next few recommendations that I give to people for a place to start… It’s really got everything you need to get going. The web interface might even be basic enough to use from a cell phone. * I am slightly confused if a post can go into two categories or not. The web doesn’t support it, but it sure seems like my Ecto click wants to (sorta). 1. Blog confession time: Is there a topic that you shy away from on purpose on your blog? What is that topic, and why? 2. Define your blog to the world – in six words. 3. Repeat question from RE: Blogs 1: What is current, most favorite blog tool? Here In Katie’s Head I get to read about a semi-normal person through their on-line diary. Heather thinks Rambling is Good for the Soul and she’s been a friend for a ling time, it’s interesting to keep in touch without direct communication. Sarah is definitely a SassyPants I don’t know where I found her but I like my daily dose. I just got Dawn hooked on blogging so she’s been a must read lately. Melissa is Anything but Ordinary and posts a good read too. This Fish Needs a Bicycle even has an application on-line. http://GarySaid.com/tags/rss/ generated Friday, April 19th 2019 at 2:43:54 pm EDT (in 226 queries in 0.793 seconds).